21 folks from the PTCC and 5 PCTA groups rocked Hershey, Saturday! Not only did we distribute 1,800 flyers and tri-folds to educate the good folks of the 15th Senate district, we collected almost 200 petition signatures! Senator Rob Teplitz, we talked to hundreds more and your constituents are NOT happy with you…I’m sure you’ll be hearing from them soon! Folks couldn’t believe that Rob’s NO vote on November 23rd was the reason the bill failed. They are NOT happy. This effort is just the beginning. Join us Saturday July 30th as we finish canvassing the Herhsey/Hummelstown areas. The more the merrier and we sure did have a great time! 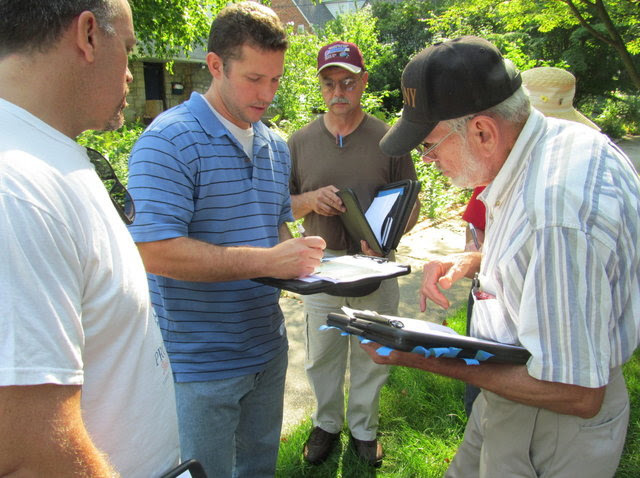 Numerous “new” folks to canvassing came out and learned alot. Many hands make for light work, so please volunteer and help EVERYONE to get the Property Tax Independence Act 76 passed. Rob, really doesn’t like us! One of his staffers grabbed the literature right out from Grace Strittmatter’s hands…can you believe it? A Senator Costa’s (alleged) staffer could not keep away from us as she kept tracking us down asking more and more questions about what we were doing and why. We told her we want to “educate” Rob “us blind” Teplitz. Of course she asked why we don’t just talk to him and we replied that we’ve tried that over and over and all he says is that he has “a 3-prong approach with a “circuit breaker” to stop elderly from losing their home”. Really Rob? Where’s the bill? I guess when you come from a rich Miami family, you don’t care about 10,000 locals losing their homes at tax sales every year? Or maybe you couldn’t care any less that folks have to borrow money to pay the “rent” on their homes? 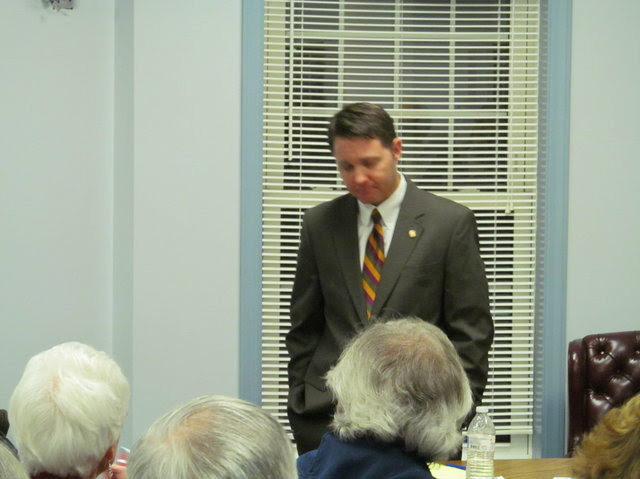 Bad form Senator Teplitz…you “Robbed us blind” on November 23rd and your constituents are going to know all about it! Thanks to the locals from Dauphin and Perry Counties who teamed up with Berks County Patriots, PTCC Carbon County, CLASTA, Lebanon 912 and PLA. The Carbon County folks drove 2 hours one way, I believe! Marty Moser drove all by her lonesome from Pottstown! Remember, let us know that you can join us Saturday July 30th to finish the job in Hershey/Hummelstown. Then we move to Lower Paxton Twp August 13th and 27th. Meeting location TBA. Look for announcements of 2 townhall meetings in the Harrisburg and Perry County areas. WHEN? 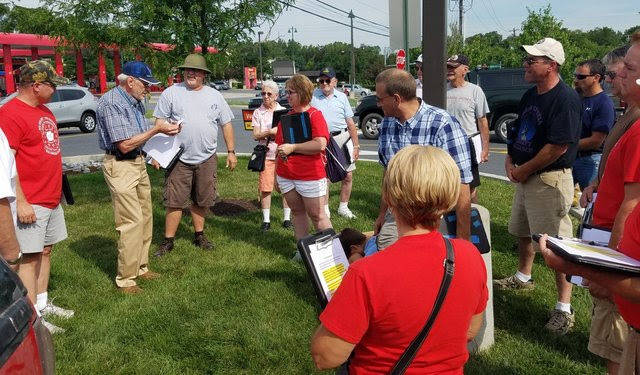 Pa Liberty Alliance continues the Summer crusade by canvassing Senator Rob “us blind ” Teplitz’ district again Saturday July 30th in Hershey and Hummelstown. WHERE? 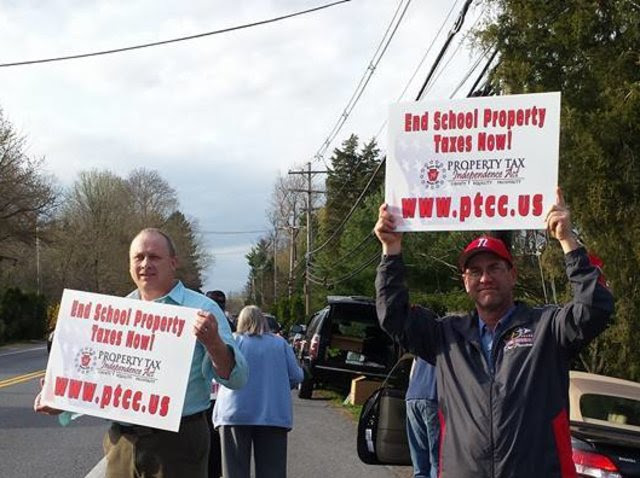 After meeting 9:30am at McDonald’s, 611 East Main Street, Hummelstown, PA 17036 for a group photo, we’ll pass out PTIA76 flyers at area businesses, petition folks, go door-to-door with walking lists and maps and literature that NO NORMAL TAXPAYER CAN DISPUTE! If you’re not into walking, we can set you up at a local business. We’ll break for lunch at noon, so pack a lunch and something to drink. Stay as long as you want, but we will likely end at 2pm. Bring a sign for the photo and curbside advertisement. WHAT? We are Educating Rob “us blind” Teplitz’ constituents on his 2 NO votes on Property Tax Independence Act 76! This crusade will last till November with Rob finally getting on board or possibly getting the boot out of office! More dates and locations to follow, but don’t miss these great events. Look for the Rob “you blind” surprise at his office and neighborhood, soon! God bless us in our fight to end the oppressive school tax! But we MUST put forth the effort! 80% of Pennsylvanians want NO REFORM, NO REDUCTION …they just want ELIMINATION! Your NO vote November 23rd was the reason PTIA76 failed…shame on you! Senator Teplitz “Robbed you blind” on November 23rd, 2015. But he came through for the special interests like the PSEA who gave him $40,000 for that vote. Dauphin County has one of the highest median property taxes in the United States, and is ranked in the top 10% of all counties nationwide in order of median property taxes. The average yearly property tax paid by Dauphin County residents amounts to about 3.48% of their yearly income. TELL HIM TO SUPPORT TAXPAYERS, NOT SPECIAL INTERESTS WHO GAVE HIM ANOTHER $52,000 SO FAR THIS YEAR TO VOTE THEIR WAY. That’s $5 for each person losing their home EVERY year! Look out for the School Property Tax Elimination Townhall Meeting and voice your opinion! Senator Rob Teplitz and opposition candidate John DiSanto are invited. PA Liberty Alliance is a non-profit, non-partisan, citizen’s grassroots mobilization organization and donations are not tax deductible. Please consider joining us for a fun and eventful few hours, as you realize the impact we make on a community. Your help is deeply appreciated and needed to stop the pain so many homeowners feel as they struggle to pay their school property tax. If you feel the same way, you can help us 2 different ways! 1) Volunteer and join us as PA Liberty Alliance, PCTA groups and PTCC members and activists are talking the talk and walking the walk in the Harrisburg area and Dauphin County. To all volunteers, we will distribute maps, clipboards and all the literature you will need to help canvass Teplitz’ own community. Please call (717) 489-2019 or email palibertyinfo@gmail.com to RSVP. Let’s let Rob know that he and others can’t play these games of supporting special intersts and then ducking for cover at the most critical time! People are hurting! 2) If you just cannot join us, you can still help us by chipping in $100, $50, $20 or even just $5 to help us run ads, print flyers, run robo-calls and direct mailers in Dauphin and Perry County. We will hold these guys accountable at a townhall meeting just like we’ve done all over the state. Just go to our website to sign the petition, donate or volunteer, or you can click on the button at the bottom of the page. God bless our fight to end the oppressive school tax, but we must put forth the effort! © 2016 Pennsylvania Liberty Alliance, Inc. Please add paliberty@mail.com to your address book or safe sender list so our emails get to your inbox. PALiberty Alliance,.